ZenSpex 1.6 AR lenses cut 80% of HEV Blue Light. You see true colors and get less surface reflections. They effectively filter and reflect off HEV blue light. They allow beneficial blue light through. The aspheric design is thinner and more attractive than standard lenses. 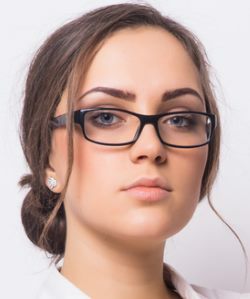 ZenSpex lenses are available as a $50.00 lens option for reading glasses and single vision prescription lenses in all of our full rim frames.